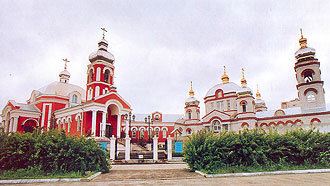 The parish of venerable Seraphim of Sarov is a church complex, which consists of the main church in honor of venerable Seraphim of Sarov, church in honor of the icon of Our Lady “Elation”, buildings for Sunday school, library, administrative and economic buildings. 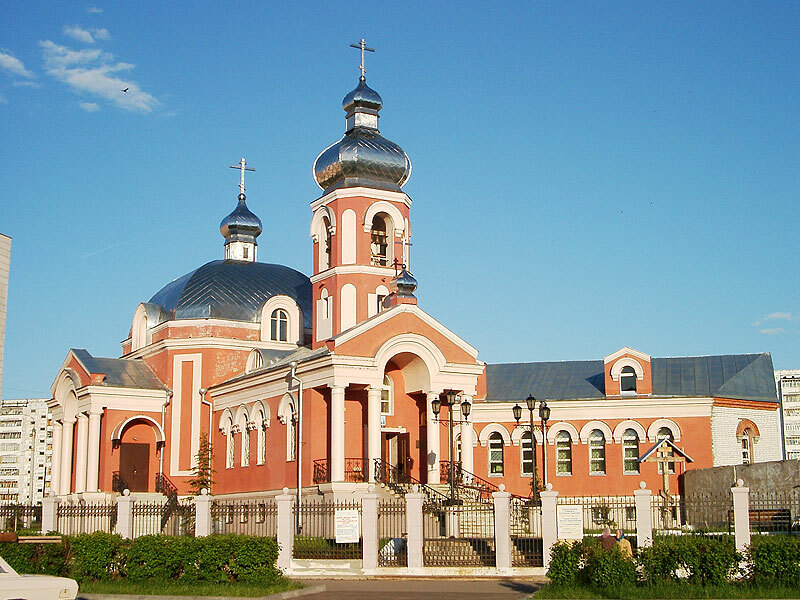 The complex was built by design of a well known Kazan architect Alexey Sporius who could take into account the variety of functional features of a modern church. 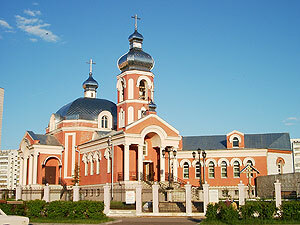 The first church of the architectural ensemble in honor of the icon of Our Lady “Elation” was built in 1999 by Vladimir Kulagin at the expense of a work collective of the industrial union “Heat control” (Kazan). The church was consecrated on January 14, 2006. The construction began in 2000 and initially was carried out at the expense of parishioners. The erection progressed too slowly because of the lack of money. It happened until 2004 since Joint Stock Commercial Bank "ZARECHYE" and personally its general director Natalia Devyatykh took upon itself financing of the construction. By the end of 2005 all finishing works had been completed in the temple and church plate had been bought. Divine services are performed daily in each church. Sunday school, school of church singing for children, library, video hall, diocesan department of religious education and catechization are functioning there. Sunday school attend near 185 children and 80 adults. Children above five can attend Sunday school, adults have their classes too, there works a group of the young there. There work at school some circles and creative workshops such as drawing, embroidery, computer class, folklore group “Khristoslavy” (i.e. singers of Christ), drama scool. Archpriest Dimitry Salkov is a rector. Clergy: archpriest Roman Modin, priest Sergy Shorokhov, priest Valery Katelnikov, priest Sergy Timofeev, priest Sergy Shkuro, deacon Yevgeny Krivoshein, deacon Alexey Timofeev. Divine services are performed every day: Liturgy at 8.00, Evening service at 17.00. On Sundays and on Feast days two liturgies are held: early one at 6.30, late one at 8.30.